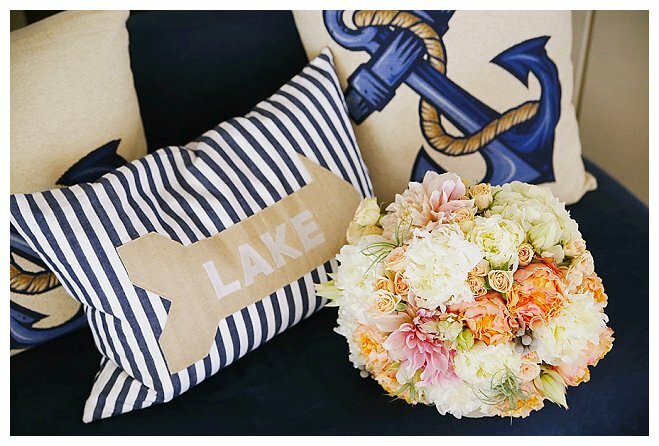 There's nothing we love more than seeing a new twist on a classic idea, like this sun-dappled and romantic nautical-inspired shoot from a magical team that includes photographer Kimberlee Miller, flowers by XO Bloom, cake by Frost It Cakery and catering by Command Performance. 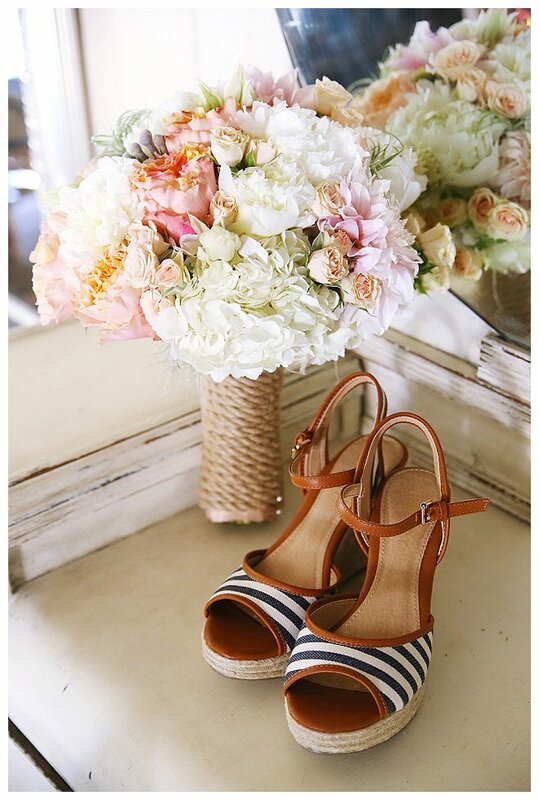 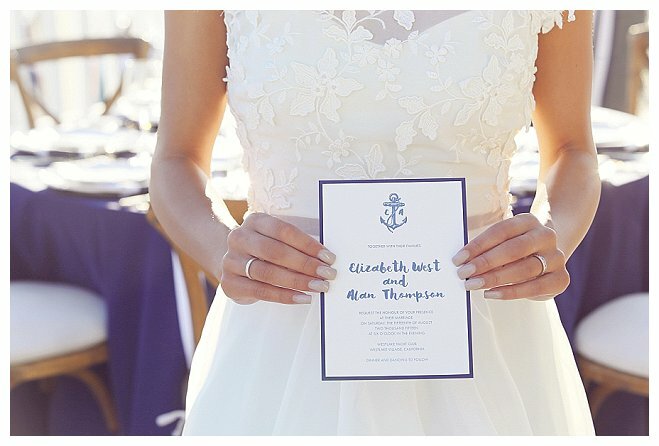 Add in the dreamiest of wedding gowns by Elizabeth McKenzie Designs that is accented perfectly by a navy-and-white grosgrain ribbon for a subtle nautical touch and adorable matching espadrilles. 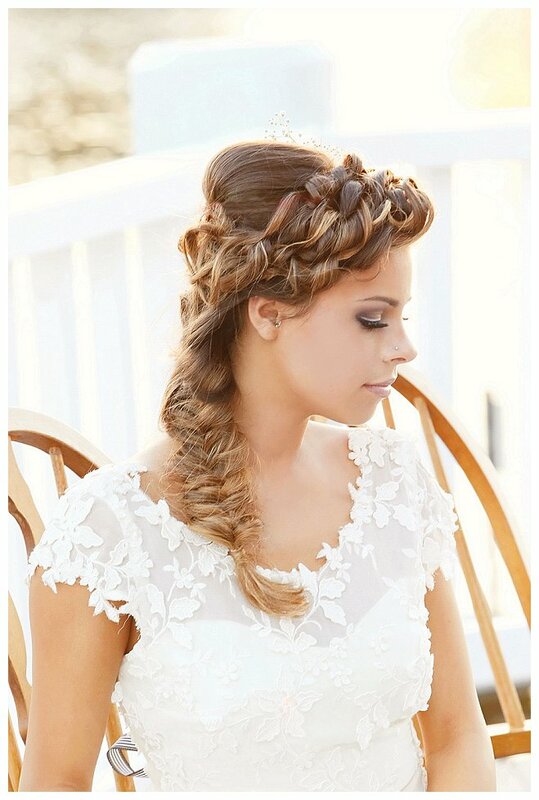 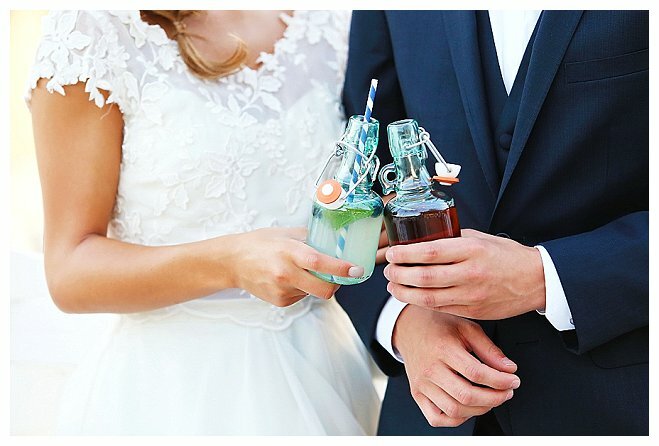 Hair stylist Kathleen Hagan created a loose, waterfall braid to compliments to the bride's look (and matched the theme perfectly) while the groom's striped bowtie cinches the bridal attire. 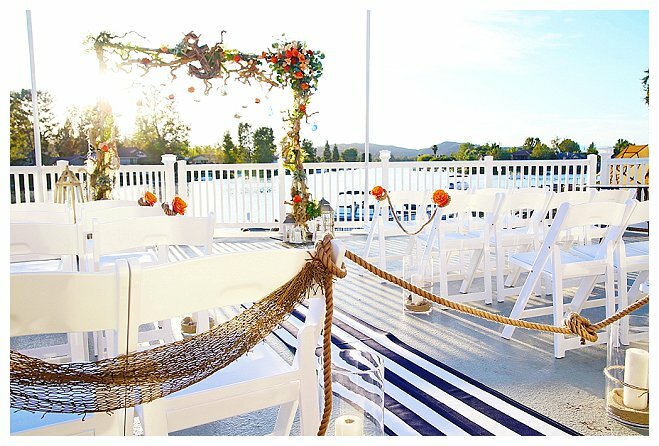 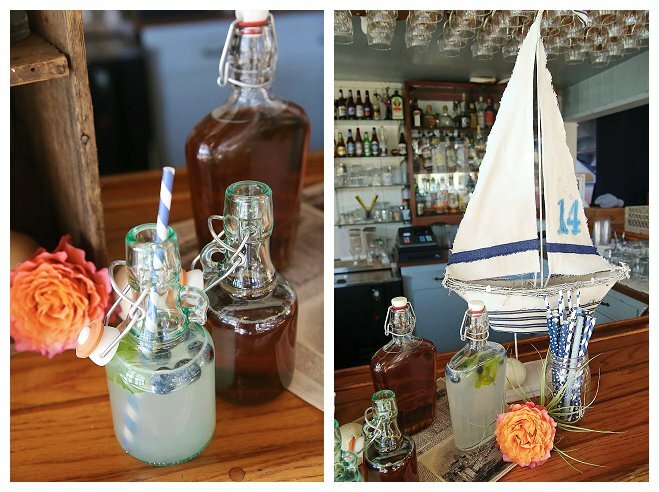 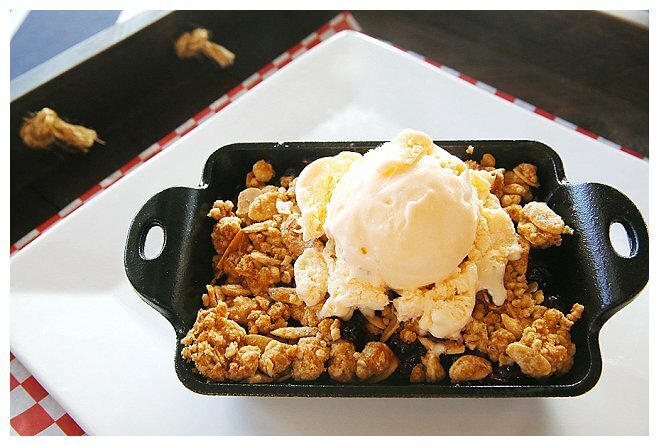 Tucked away in Westlake Village is a hidden gem, The Westlake Yacht Club. 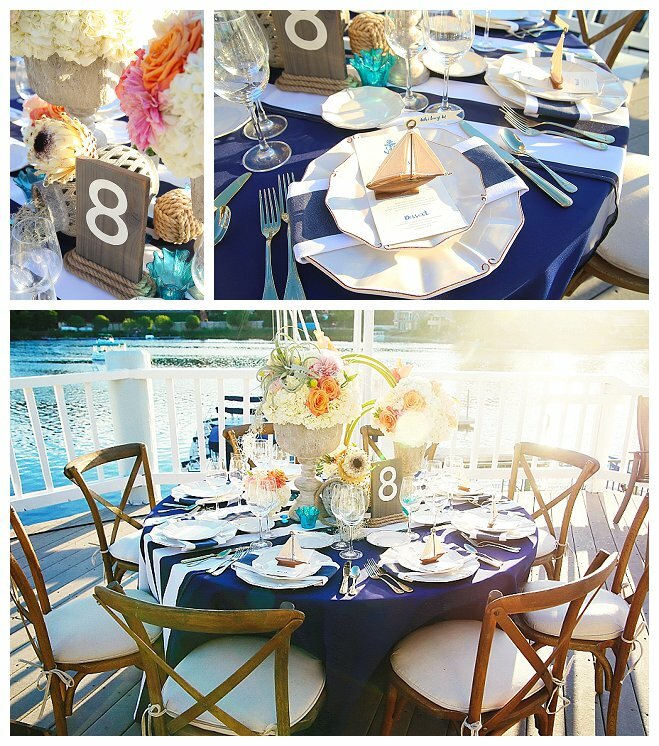 The club's picturesque scene of sparkling water dolloped with white sailboats and a beautiful sunset made for a perfect setting. 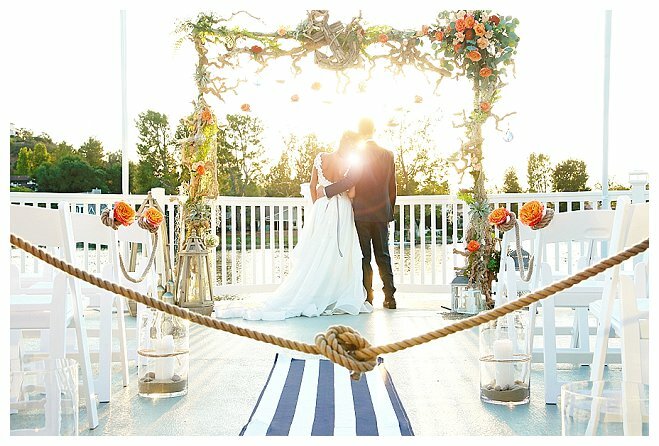 Photographer Kimberlee says, “This stylized shoot was a dream. 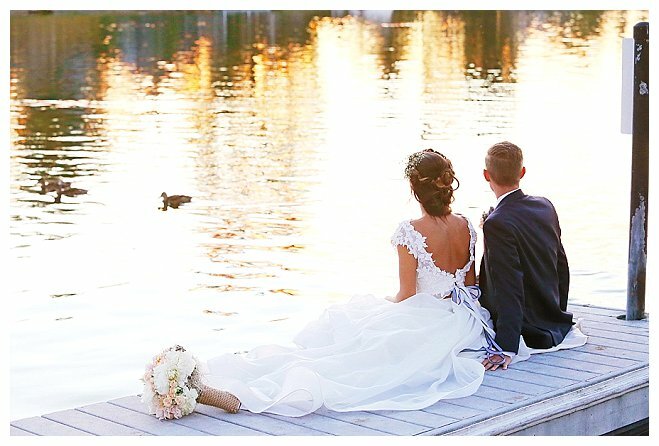 Working with extremely talented vendors who understood our vision and just took off with their creativity made this such an amazing day. 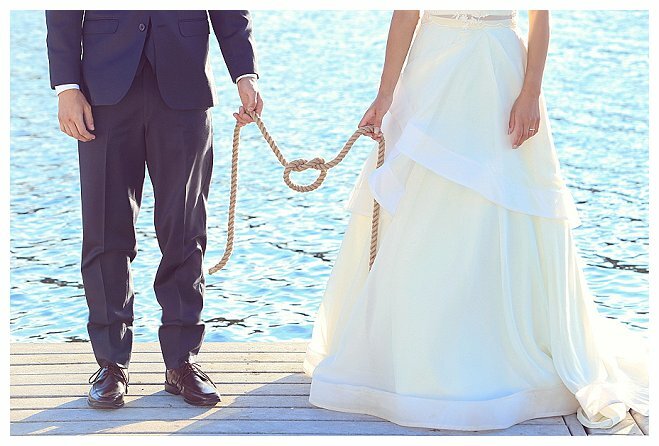 This really must be one of my favorite shoots of the year. 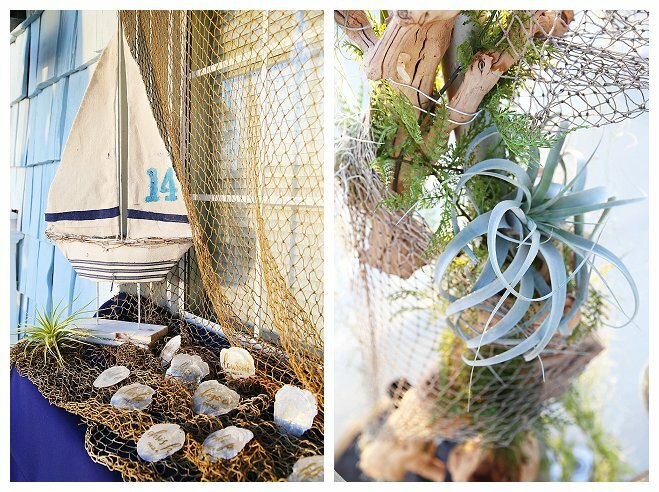 All of our vendors brought in the perfect elements to execute our vision beyond our dreams. 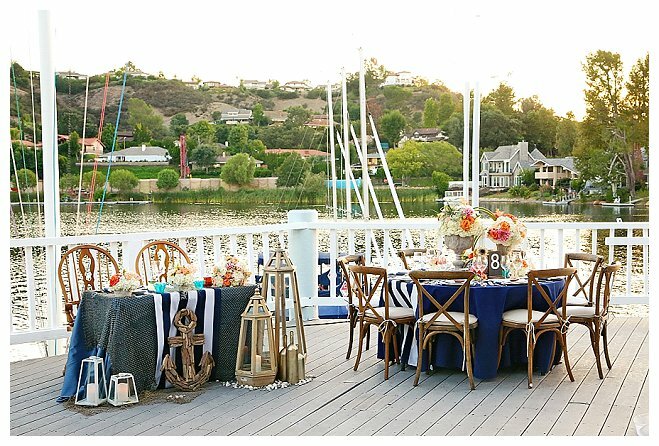 With vineyard chairs, vintage china, gold flatware, and blue and white striped table runners, the tablescapes were a summer’s dream. 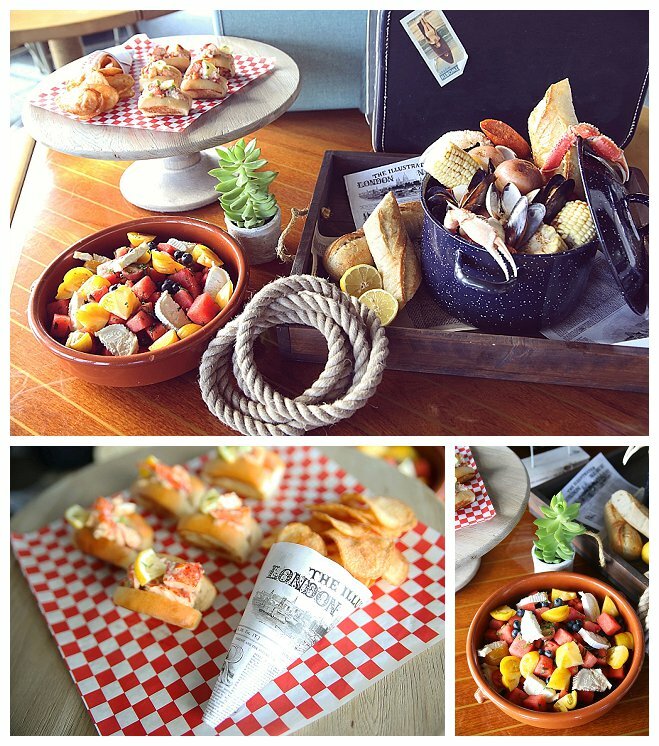 Command Performance Catering provided a mouth-watering seafood spread including fish and chips, lobster rolls, cast iron skillets with apple crumble and vanilla bean ice cream, and a yummy clam boil. 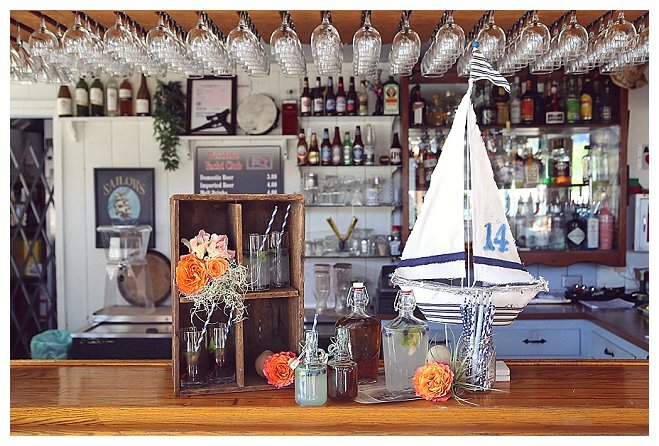 With a modern flare, the fish and chips were wrapped in London themed newspaper and set in wood crates for a charm that allowed the cuisine to be an integral part of the shoot. 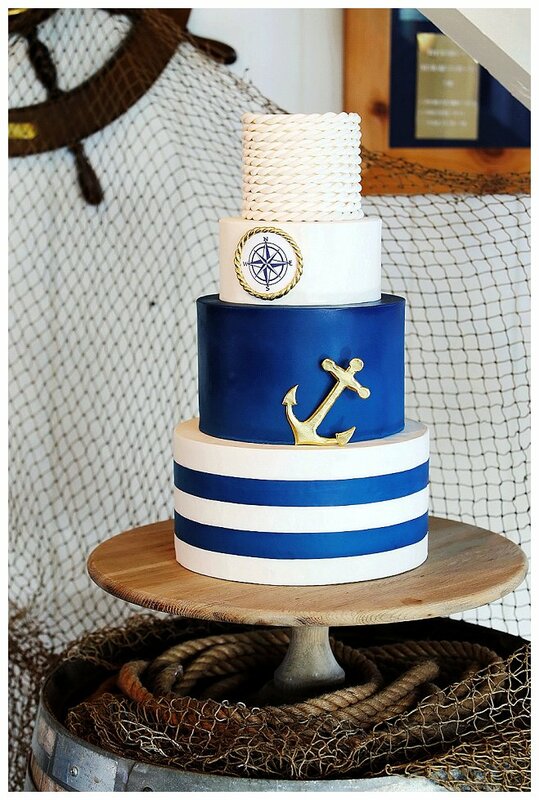 Frost It Cupcakery did an exceptionally outstanding job with our four-tiered nautical cake. 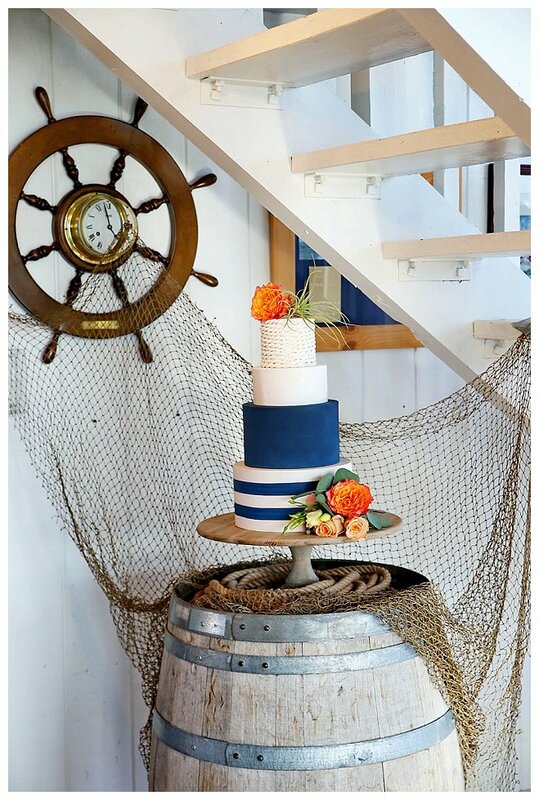 At the focal point of the whole shoot, the cake was placed on a wood wine barrel accented with rope and netting, creating an awesome visual display. 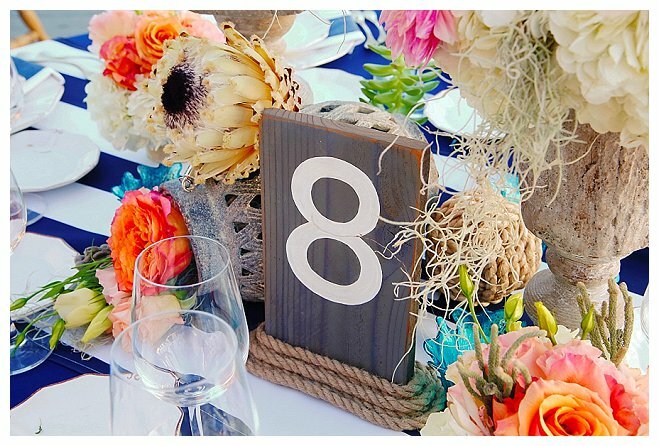 As one of Southern California’s top florists, and having just opened their Floral Bar right around the corner, Luna Gardens was an obvious vendor for our shoot. 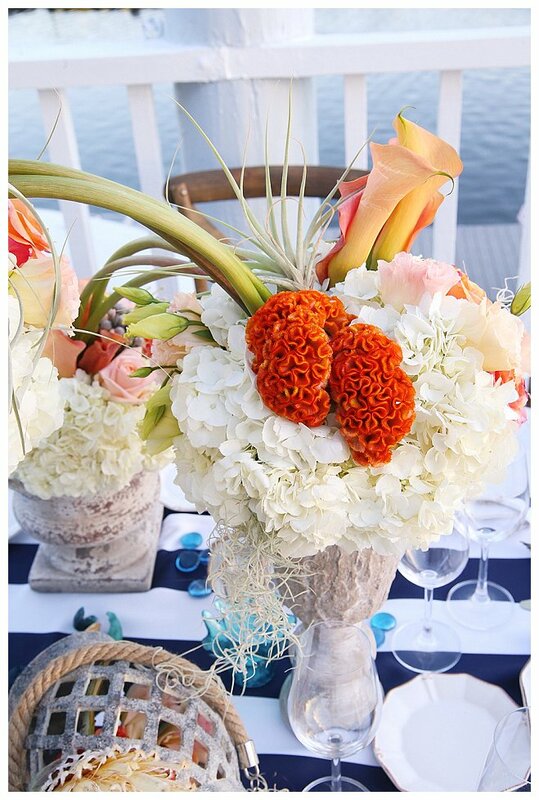 Knowing Sarah Z’s vision in floral design would take the shoot to the next level, we knew we couldn’t go wrong. 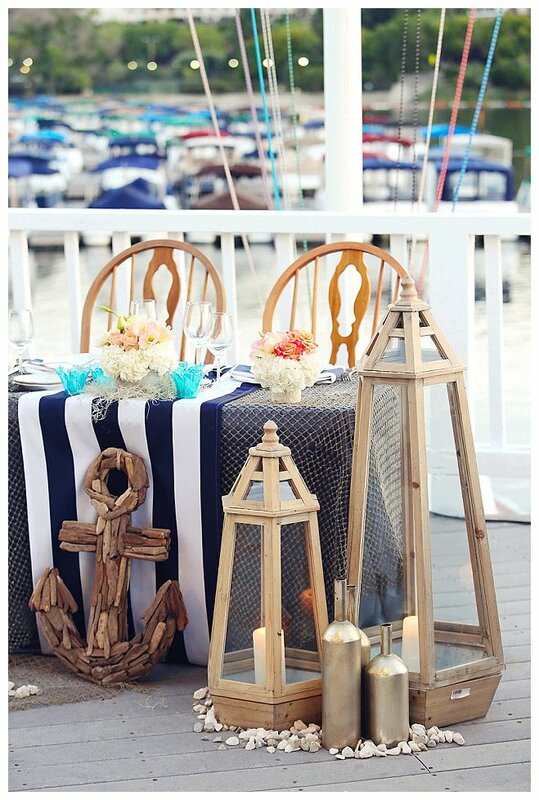 With a grape wood arch, large candle lanterns, and stunning centerpieces themed as buried treasure, we were not disappointed! 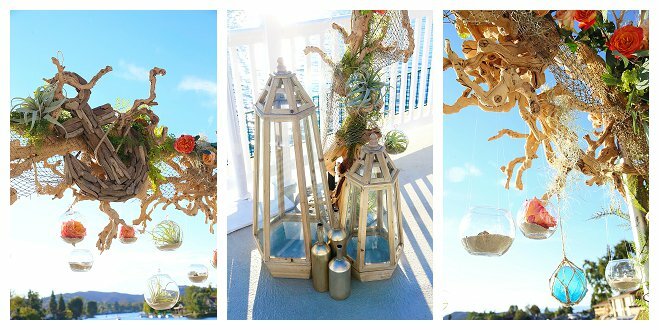 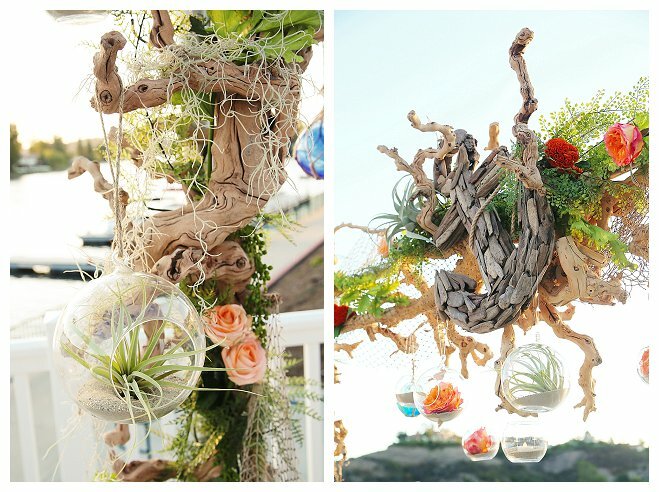 Along with those statement displays, Sarah implemented succulents and other various florals that represented coral and other water elements to truly execute a gorgeous nautical scene. 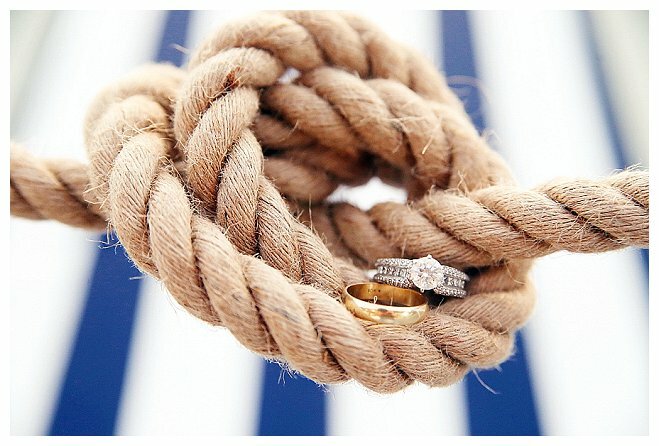 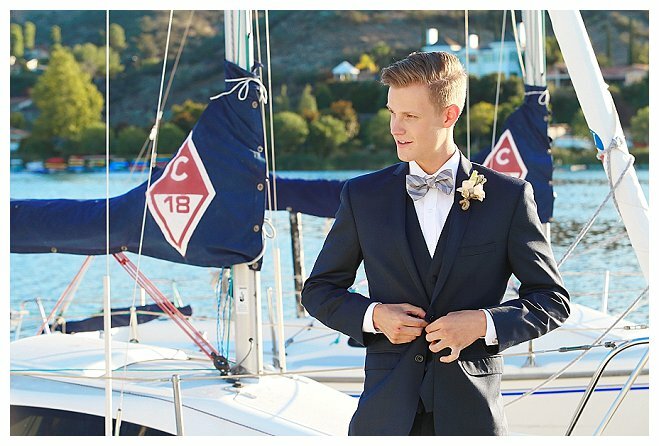 Our nautical theme carried out throughout all aspects of the shoot, from a blue and white striped ribbon cascading down the back our bride’s wedding dress, to an intricate, rope-like, waterfall braid on the bride, and the groom’s navy tux with a blue and white striped bowtie. 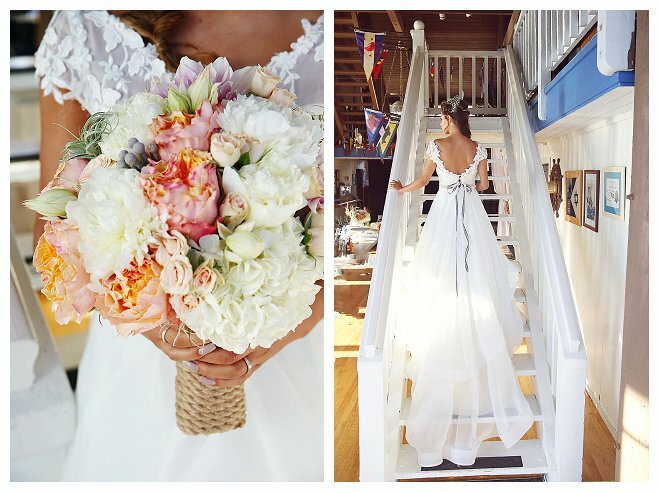 From our beautiful bride and groom, to the small details found throughout the shoot, every aspect was absolutely stunning!" 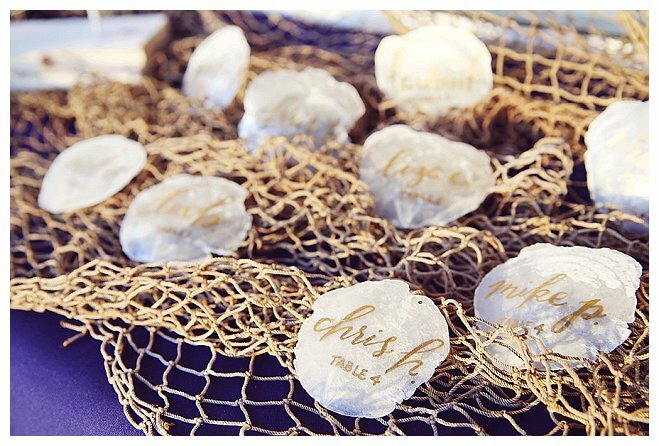 It takes two to make a marriage, but sometimes it takes a village to make a wedding.